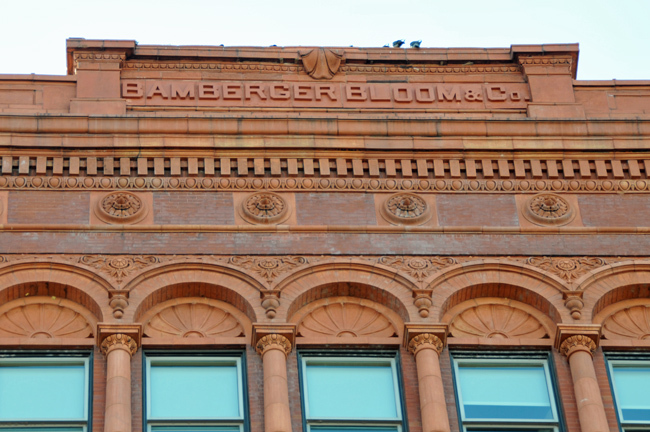 Louisville’s incredible historic architecture is often overlooked by the city’s visitors and residents. 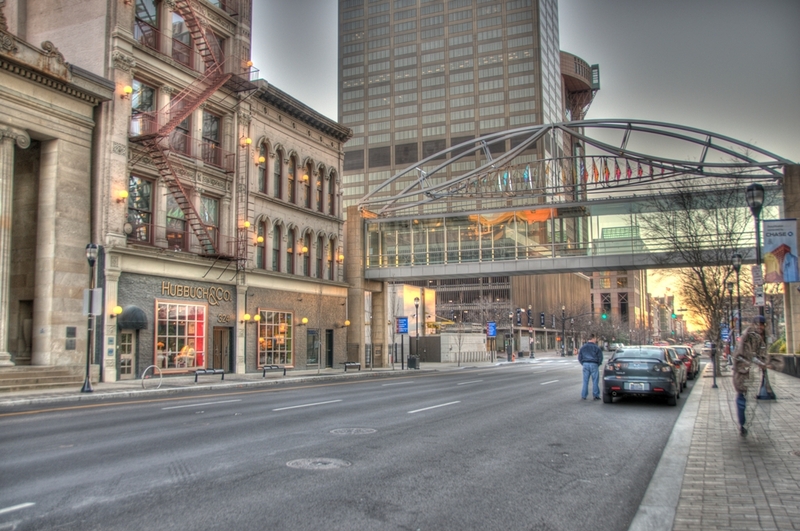 Downtown Louisville holds some of the most unique historic buildings and has over 200 listings on the National Register of Historic Places. 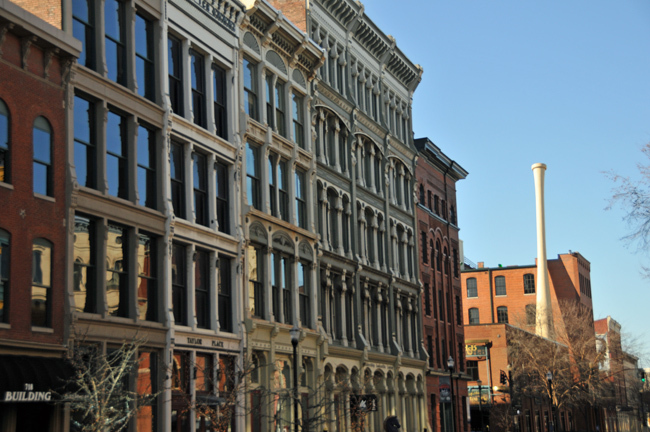 The Old Louisville neighborhood is home to the largest assembly of Victorian mansions in the country and Louisville is only second to New York City’s SoHo in cast iron architecture. 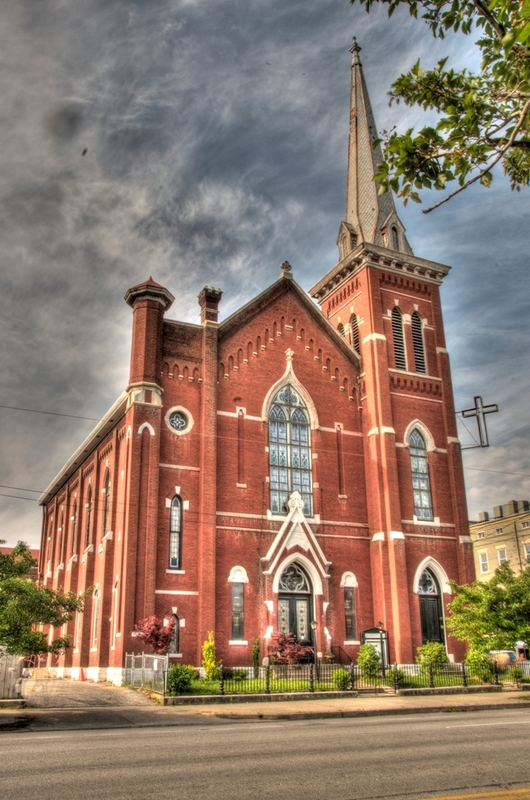 The churches, however, are the most overlooked architecture in Louisville, and are ironically some of the most impressive and elaborate architecture the city has to offer. Until recently, I was one of those Louisville residents that didn’t pay too much attention to the churches in our city. Like many residents, I pass by these churches every day as part of my daily routine, and although they will catch my attention, my busy brain will quickly regain my focus on other things. This past weekend, I attended a good friend’s wedding that took place at St. James Church in the Highlands. The church is located at the intersection of Bardstown Road and Edenside, an intersection that I’m sure many of you have passed by a thousand times. I live two blocks away from the church, have passed by the gigantic and impressive structure a thousand times, and until Saturday had never really looked at it before. Even from the outside, before taking one step in, I was in awe. The main church building was strong and understated, a beautiful yellow orange stone color with a large stained glass window. The steeple disappeared in to the sky. It‘s massive height brought on a protective and calming tone. When we walked inside the church, the pale pinks and blues that filled the walls made me feel like I walked in to a painting of a sunset. The dome ceiling was grand and the detail in the stained glass and sculptured walls were amazing. At the center of the dome was a stained glass eye, which at first was quite jolting, but after some time became centering. It is hard to believe that I have walked by this church so many times without knowing what incredible beauty was inside. My friend’s wedding made me question where else in our city hidden beauty lies, and where else I could be passing it by. Old Louisville is home to over 20 historic churches that hold intricate stained glass, paintings, and sculptures, so I think I will start there. Christ Church Cathedral is the oldest church building that is still standing in Louisville. This church still has it’s original tiffany glass stained glass windows. The First Church of Christ Scientist is built with native Kentucky limestone. St. Josephs Catholic Church is a gothic style church located in Butchertown. The twin spires are a recognizable marker of this church. St. Martin of Tours is one of the most authentically German churches in Louisville. The skeletal remains of two martyrs line the alter. The First Unitarian Church offers unique architecture in that it combines the new with the old. After suffering through two fires in 1872 and 1873, part of the church was rebuilt with glass and steel, blending the contemporary with traditional. Calvary Episcopal Church was built with Indiana and Peewee Valley limestone. The architect of the church also designed the entrance to Cave Hill Cemetery. This is just a little information on a few of the many churches in our city. I recommend peeking in to the next church you pass by and you will probably see something special that you didn’t expect!